Europe's largest choice of the finest pool tables, all available on interest free finance, subject to acceptance. Get your dream table and spread the payments! Apply online, or in our showrooms. Our range of Interest Free Pool Tables offers Europe's largest choice of the very best pool tables, all available on interest free finance, subject to acceptance. 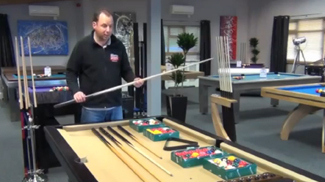 Interest free finance can be a great way to get the pool table you really want, without the initial outlay that comes with a purchase of this type. With interest free finance, we offer a program of repayment over 10 months, after a minimum deposit of 20% of the value of your order. By spreading the payments in this way, your dream pool table becomes even more affordable. We offer a huge range of products on interest free finance, from exclusives like the Montfort Lewis to the phenomenal Toulet Blacklight. This unparalleled selection gives you a real choice when it comes to finding the pool table you want, without compromising on costs. The Lewis is one of the most beautiful tables on the market, and with repayment spread over 10 months, has never been more affordable. Application for finance can be done either through our website, or in person at our showroom in Bristol. Completing your application will take about 5 minutes, thanks to our finance partner Pay 4 Later. Everything is completed online, with no paperwork to print and post. Our industry-leading process is straightforward and easy to understand. Credit is provided subject to status. For more information on finance, as well as a list of frequently asked questions, please refer to our Finance Information page, or call one of our friendly team of experts on 0800 622 6464. Interest free finance means that some of our more top-end tables are within your range, too. The Toulet Blacklight is a modern design classic that will astonish and impress wherever it's installed, and is available with a minimum deposit of just 20%, like all of the tables in our Interest Free Pool Tables section. All of our pool tables come with free delivery and free accessories, and many come with free installation too. We also have the lowest UK prices on all of our tables, so you know you're going to get the best possible deal with Home Leisure Direct. Whatever you are looking for, we'll have you covered. If you have any queries at all, just give us a call on 0800 622 6464 and one of our friendly expert advisors will be able to help you. If you have any questions about finance, or about any of the products we sell, please give us a call on 0800 622 6464 or 01454 413636 and one of our friendly expert advisors will be happy to help you.